SACRAMENTO, Calif. /California Newswire/ — Today, Calif. 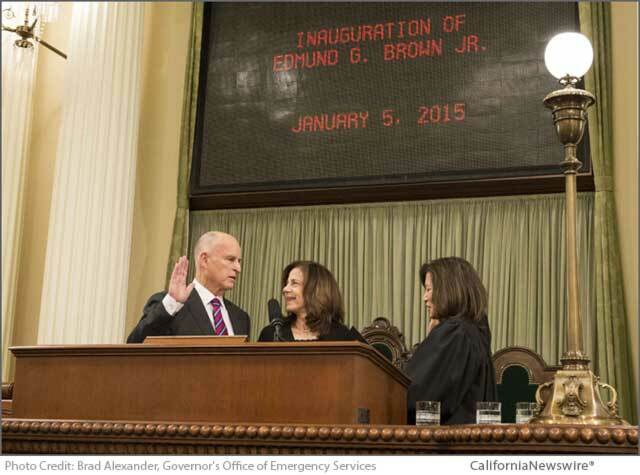 Governor Edmund G. Brown Jr. took the oath of office as Governor of California and delivered his inaugural address in the Assembly Chamber. The address serves as the Governor’s constitutionally required annual report to the Legislature. Governor Brown takes the oath of office as Governor of California. From left to right: Governor Brown, First Lady Anne Gust Brown and Chief Justice Tani Cantil-Sakauye. Photo Credit: Brad Alexander, Governor’s Office of Emergency Services.